Good Stuff Co. is an online stationery store that does unique products that are sourced from European brands. They've now got Premec pens and pencils, which are customisable and super high quality. Cheese, chocolate, watches...there's not a lot the Swiss don't do well, and these Premec pens and pencils from Good Stuff Co seem to back up the claim quite well. If you're someone who likes to go old-school when it comes to jotting down notes, writing, and journaling, we say ditch the keyboard, bring out the notepads and the diaries, and let the the stationery do its magic. 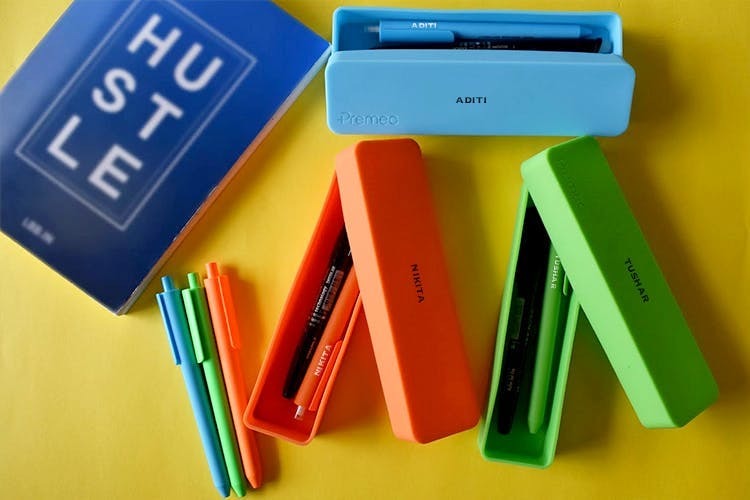 Good Stuff Co is not just about high quality pens and lead pencils, though—you'll find other unique stationery like plush pens, erasable pens, neon pens and pencils, ceramic pens, and bright neon silicon boxes to keep all of this in. All of this comes in vibrant colours like green, orange, blue, pink, black, red, and white.You can also customise the pens, pencils, and the boxes to have your name on it! Good Stuff Co's got two new kiosks in DLF Promenade and Select Citywalk where you can get this custom stationery. Check out Premec by Good Stuff Co's personalised stationery for smooth writing.